A number of optoelectronic components (IR sensors, bolometers, focal plane arrays, photovoltaic modules, etc.) require external illumination and custom optics integration during probing. This illumination ranges from blackbody illumination to solar simulator illumination and illumination with pulsed, modulated or continuous wave laser light. Another set of applications requiring external illumination is related to laser trimming or cutting. MicroXact has experience adapting its probers for these kinds of applications and is always happy to work with customers to come up with convenient and cost-effective solutions for customers’ custom probe station requirements. 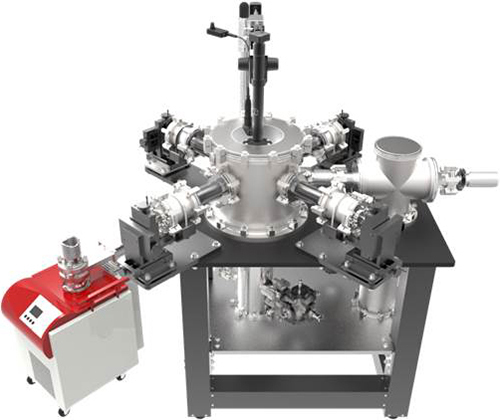 An important subset of applications is related to cryogenic temperature THz device testing and wafer testing. To address these problems MicroXact is offering extended temperature range standard probe stations as well as highly custom solutions with unusually high heat loads, very high frequency testing (110GHz and above), as well as with unusually high thermal mass of the testing articles. Certain applications need spectroscopic (Raman, fluorescence, etc.) measurements of the devices and materials under electrical bias, applied current and/or applied external magnetic field. MicroXact’s probe stations are ideally suited for these applications and our engineers are happy to develop the most capable, user-friendly and cost-effective solution to meet the most challenging needs.